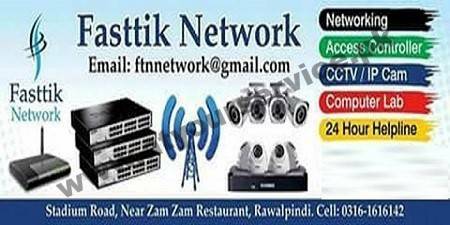 Fasttik Network is located on Stadium Road, Rawalpindi. It deals in Security Camera Networking. System hardware and installation services are provided.